OUR COMMUNITY ALLOTMENT STARTED IN 2013, FOLLOWING CONVERSATIONS WITH LOCAL PEOPLE ON LOW INCOMES SUGGESTING THEY WOULD LIKE TO LEARN HOW TO GROW THEIR OWN VEGETABLES AND REDUCE FOOD BILLS. AN ENTHUSIASTIC VOLUNTEER, SOME GENEROUS FUNDING AND A DONATED ALLOTMENT LATER, WE WERE ON OUR WAY! Friendship, confidence, sense of achievement, improved mood, better health, exercise, as well as new skills and free fresh healthy produce are just a few of the positive effects we have seen.​.  The Allotment is a two-part project, firstly a teaching programme lasting 4 sessions on a community allotment. Participants are nominated by local agencies who work with vulnerable adults and families. Anna was referred by a local women’s refuge. She came along with others from the same location with no knowledge of growing things. Right from the start she was very keen to learn and just got on with things, whilst chatting to other participants. ​By the end of the course, she was confident to work independently with few general instructions. When she was invited to continue with the allotment mentorship on a mini-plot, she jumped at the opportunity being offered and had her eye already on a particular mini-plot. ​The volunteers spent time getting to know Anna, so were able to match her closely with a mentor who she is now working 1:1 with. She is growing in confidence as well as in skills and ability.